That leaves some extra for little treats along the way. One superb way to derive extra benefits from your travels is to dine at local, one-off eateries. The visitor centers at most state lines can be a treasure trove. Several racks of brochures and information cards focus on more than theme parks and museums. Small cities and towns often make their own material available, and it’s a great way to learn about local establishments you’d otherwise miss. Talk, talk, talk to your fellow RVers. You’re moving across the U.S. and Canada as part of a large, social, and friendly community. Everyone has a favorite place to visit, and typically you’ll find few who are hesitant to share that surprise they unearthed, somewhere out there on the road. If you have a route in mind for your next excursion, and have the time, send out some emails to Chambers of Commerce along the way. CoC personnel are very dedicated to attracting tourism to their towns and will have firsthand knowledge as to the best places to visit and will probably give you advice as to what to order. You really do only have to ask. 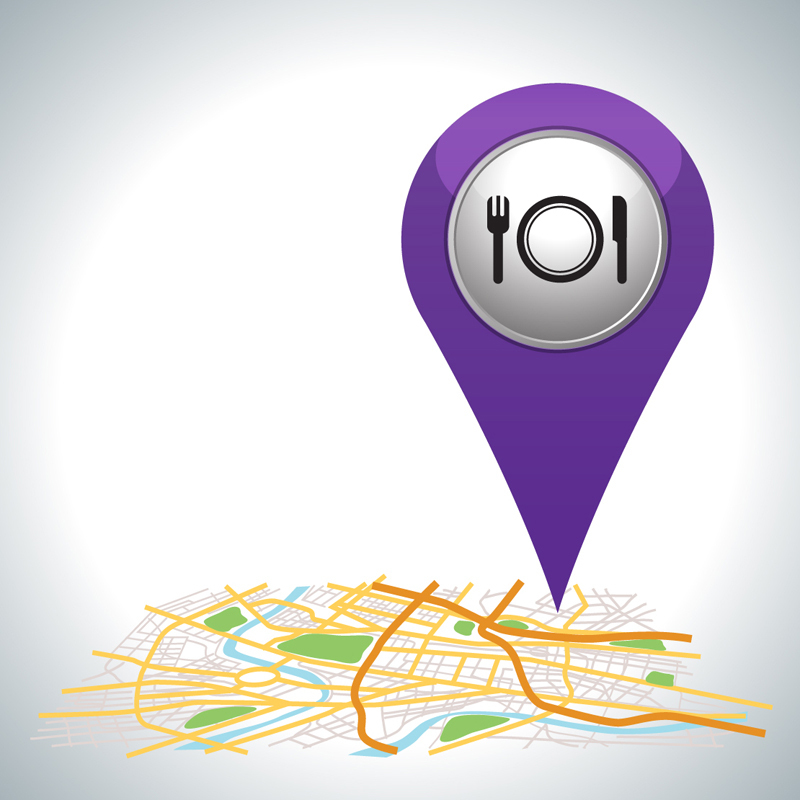 Call up Google Maps, focus in on the area you’re passing through, then type in keywords such as “restaurants” or “farmers markets,” You’ll see small, circular knife-and-fork icons pop up; hover your cursor over them, and you’ll learn more details about the location, sometimes including customers’ reviews. Keeping your kitchen well- stocked is important. Another way to connect with the local culture is to support the community farmer’s market. Supporting local farmer’s markets has many benefits. Farmers often have good recommendations on ways to prepare their products and you may even get to sample a fruit or vegetable you have never tried before. For those interested in eating local, RV travel really can be the best way to discover what America’s all about; true-blue, unique and wonderfully original flavors and experiences, served up by mom n’ pop diners and restaurants you’ll seldom find on the side of an interstate. Bon Appétit!